Cannonau is the Sardinian name for the red wine grape known elsewhere as Grenache or Garnacha. The best known Cannonau wines belong to the Cannonau di Sardegna Denominazione di Origine Controllata (DOC) on the island of Sardinia. The grape’s name is sometimes spelled Cannonao. The Cannonau di Sardegna DOC produces red and rosé wines from the Cannonau grape. The red wines may be produced in three ways: a dry style, a sweet style known as passito or into a fortified wine known as liquoroso. Dry red Cannonau di Sardegna may also be produced in a riserva style, with strict regulations in place controlling minimum alcohol levels and aging times, among other aspects. Riserva-level Cannonau di Sardegna must have at least 13% alcohol-by-volume (ABV), and a minimum ageing time of two years, at least six months of which must be in barrels, with oak and chestnut being particularly popular. The Cannonau grape produces powerful and full-bodied red wines with medium alcohol, soft acidity and generous red-fruit flavors of raspberry and strawberry, alongside more floral and spicy notes. It may be produced as a single varietal wine or blended with other varieties. The Cannonau grape is ideal for blending because it adds body and fruit without adding tannin. Under the names Grenache and Garnacha, the Cannonau grape is widely cultivated in France and Spain, respectively. Key regions in France include the Rhône Valley and southern regions in and around Languedoc-Roussillon. In the southern Rhône Valley, the grape is used in blends of Appellation d’Origine Contrôlée (AOC) wines, such as Châteauneuf du Pape, Gigondas, Vacqueyras and the broader Côtes-du-Rhône and Côtes du Rhône-Villages. The most significant Languedoc-Roussillon appellations for Grenache include Minervois, Fitou and Corbières. Grenache is ideal for the French fortified wines known as vin doux naturel, notably those of Maury, Banyuls and Rivesaltes, all located in the Roussillon region. In Spain, Cannonau is known as Garnacha and is widely planted. Among the most important regions to know are Denominación de Origen (DO) level designations like Aragon, Campo de Borja, Calatayud, Cariñena and Navarra. Garnacha is also significant in the Denominación de Origen Calificada (DOC) regions of Rioja and Priorat. Under the name Grenache, it is also cultivated in Australia, where it forms an integral part of the so-called GSM blends, alongside Syrah and Mourvèdre. Grenache can also be found in the USA, particularly in California and Washington. 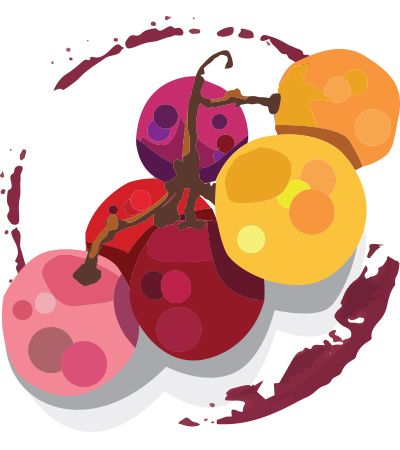 Learn more about this fruity varietal using Wine Enthusiast’s online Buying Guide. You’ll find our expert tasters have rated thousands of Cannonau wines and provided their professional opinions of them below!